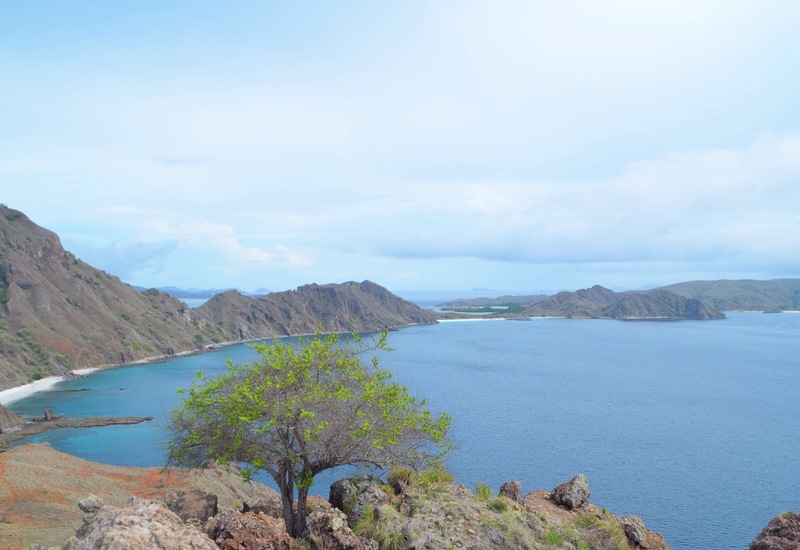 Apparently there are people who only visited this part of Indonesia for 2 or 3 days, go to Rinca which is the island nearest island to Labuan Bajo that has Komodo Sanctuary took some pictures and go back to Jakarta the next day. This is because of the easy and cheap flights from Jakarta and Bali. 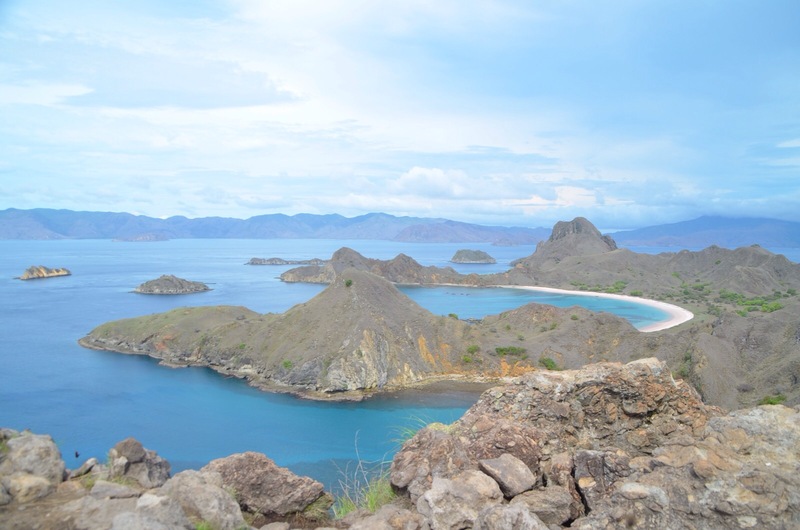 I decided that if you go to the Komodo Islands, you should go to the actual island that is called Komodo. Right? 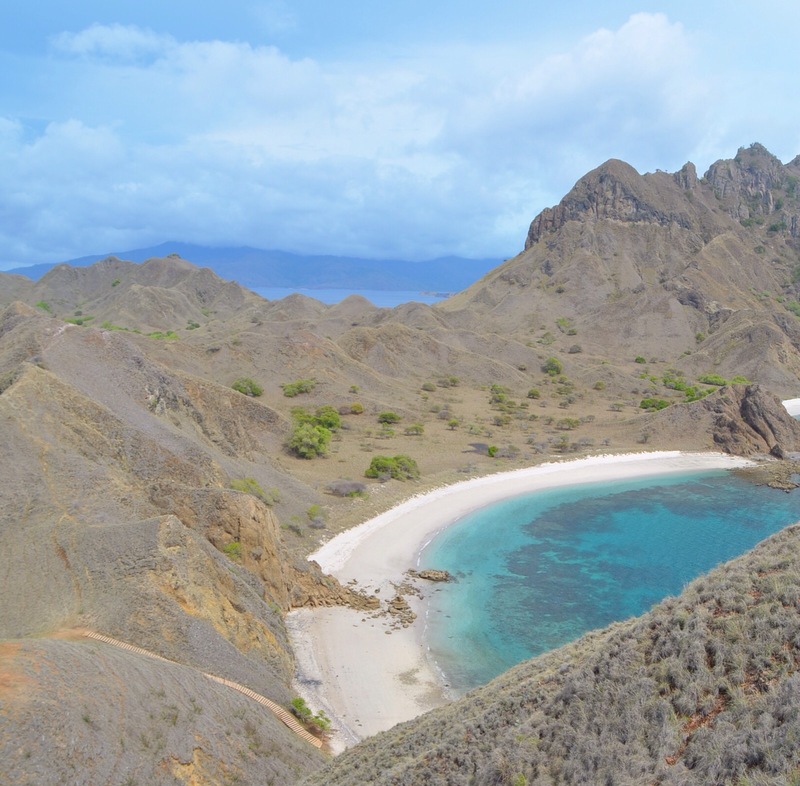 The problem with this is that this is the furthest island, it takes 4 hours on the boat from Labuan Bajo, so not very many people choose to go there, which means that sometimes you can’t get a cheap boat. Plus you have to get up pretty early to get there in time. I think I was pretty lucky that there was a boat that was going to Komodo, even though it departed at 5am. If people said that they have been to the Komodos as most would have shown the top of this island. Not without reasons, the view is amazing from the top. The trek up is quite steep with no real path, and rocky as in lots of sharp and loose rocks, I advise not to wear flip flops when you go up. We were given 1 hour to go up and down as our trip to Komodo was still another 2 hour. When this is finally sorted we were met by 2 rangers/guides each with a long wooden stick. I was thinking ” Is this the only thing they are bringing with them to ward of the giant lizards that has thousands deadly bacteria in its saliva, that someone who got a small bite from it will die a long death, and the next available hospital is 4 hours away?” The answer is YES, but wehey the last incident was in 1998. The guy ranger started with a health and safety advice such as stay close to the group don’t go around by yourself, if you need the toilet you better do it now, etc, etc. He then asked us to choose between short, medium or long route, we all agreed to choose the medium route.We all agreed in the height of the sun it was not a good idea to do a long walk. He then said, ” This is the wildlife, we try our very best to find some dragons but they are wild, so you might not see any, we can’t guarantee you would see them on route” This is quite good I think, I know how people expect it to be a visitor attraction, which should not be the essence of the park. Right? The walk was not a very long walk at all and the terrain was easy, we went around a range of different landscape, a small forest, a small hill and down by the beach. Whilst walking around the main guide in the front tells us all about the dragons. How to tell the difference between female and male, their eating habits, the way they kill their pray, when was the last accident, etc etc. I wouldn’t tell you about them, is a bit of a spoiler is it not? I think it is good to hear all about it whilst you are there. Not only until the end of the walk we saw some of the Komodos by the coast, apparently their habits are seasonal, so they are more likely to be by the coast during dry months. The guide then encouraged us to be closed to one of the biggest there, to take pictures with it, the guide poked the komodo a bit until it moves. A bit scary and not very nice to the dragon, but it didn’t seem to mind a bit. 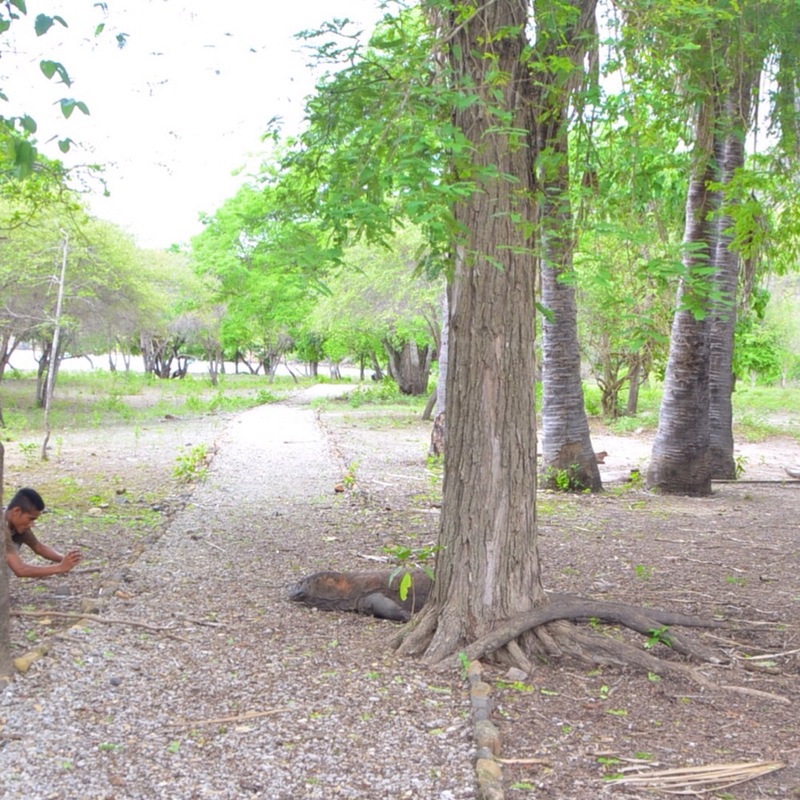 People were told to pose around 3 meters behind the Komodo, whilst the guide took a picture from the distance, to make it look that the tourist is near. It was pretty good. As I don’t really agree with the poking, harassing and treating the Komodo like an animal in those horrible zoos, I didn’t want my picture taken. 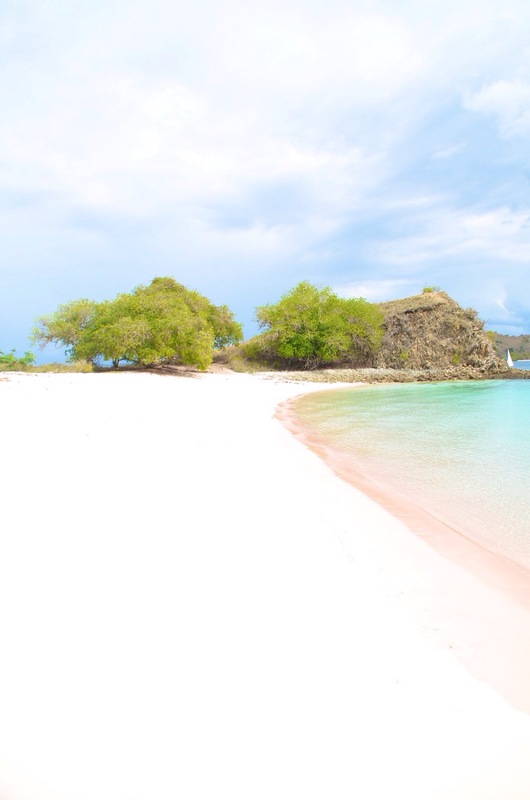 Anyway, we spent around 2,5 hours in that island then we sailed away to another part of the island, to see the pink beach. When we were there it was so quiet, there was only one other boat which sailed away as approach the island. 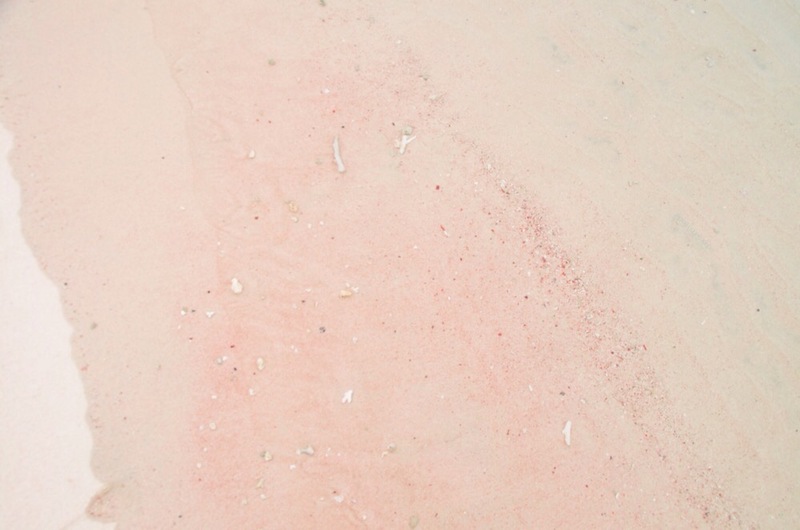 At first it did not look so pink but then when you are on shore and the water hits the beach, the sand looks really pink due to the crush red coral mixed in with the sand. It was definitely worth to see and it was so pretty. Some people from our boat went snorkeling, they say it was pretty interesting. I was just to fascinated by the beach. We spent an hour on this beach then we went to manta point to look for mantas. What I didn’t realise is thatManta Point is not an island it is a diving point in the middle of the sea. The mantas looks amazing, we only saw 2 of them, but if you have never seen them before it feels so amazing. They are pretty cool. The captain said that there are times when. you can’t actually stop the boat because there are so many mantas, it is also gilstening black instead of blue. Sounds amazing, have you seen such a thing? Apparently they live up to 100 years. If you ever see them, whatever the posters/photos shows you, do not touch them, please. If you touch them they will loose their protective skin. We then went back to Labuan Bajo around 5pm. Enough for us to see the sunset and drink a sundowner. 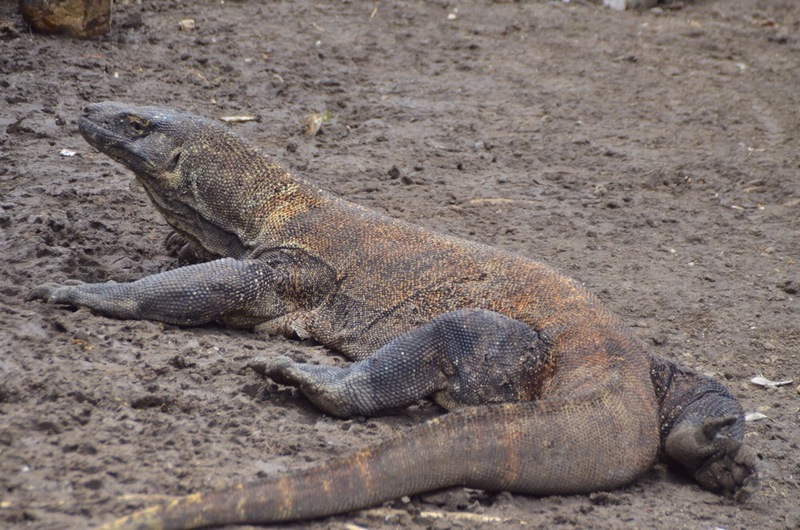 Have you been to the Komodo Islands? 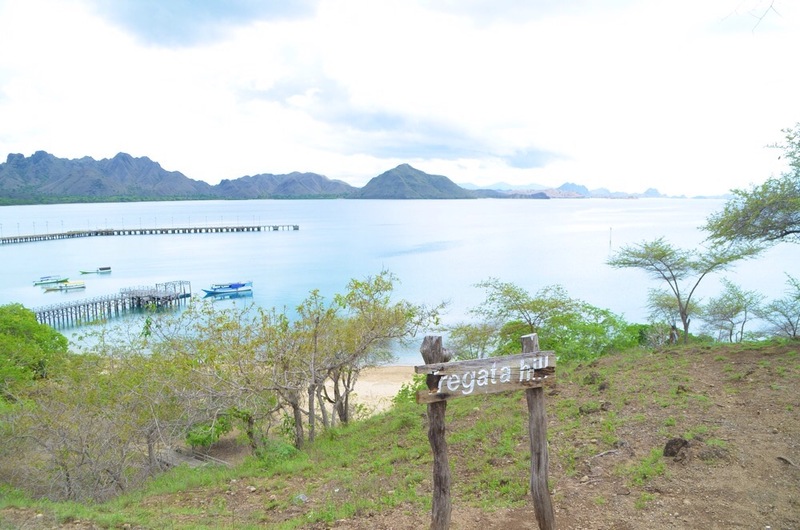 if you have did you go to Komodo island itself or did you go to Rinca only? What was the most ridiculous administrative process you have encounter in your travels? Where was this? 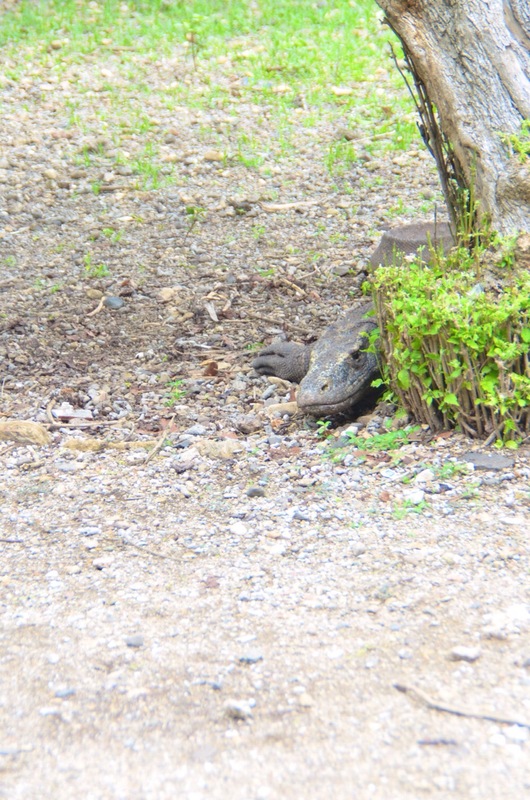 No, never been to Komodo Island, but Rinca. I skipped it and yes, because of the distance. Ahahahaha, the administrative process, I felt that way too. Oh ya, I skipped the suggested group photo with komodo. 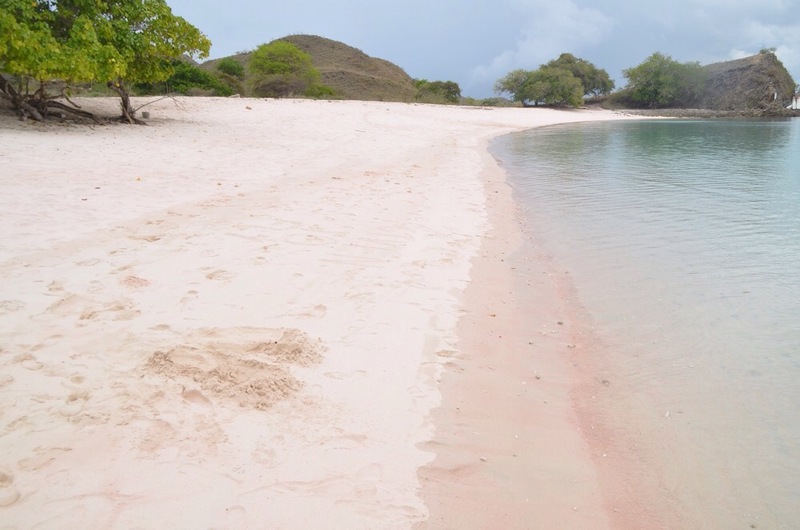 Hehehehehe did you to see the pink beach or padar? No, I didn’t. Only took one route and then continued my trip to the eastern part, up to Bajawa. Aah! Padar was worth the brief stop just for the views, other than that not much else to see. The admin wasn’t difficult it just seemed more complicated then it should be. Heheheh Indonesian style. Did he do live in boat? I am sure you would all enjoy it it is so beautiful.